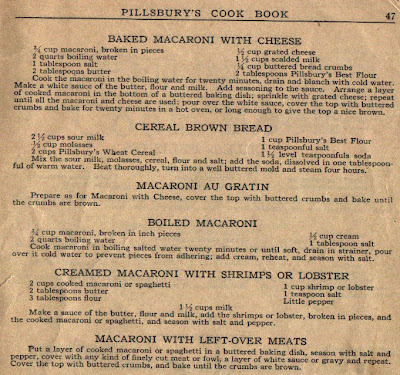 How would you like your macaroni? With cheese? Baked? Boiled? Au gratin? With left-over meats? Creamed with shrimp or lobster? 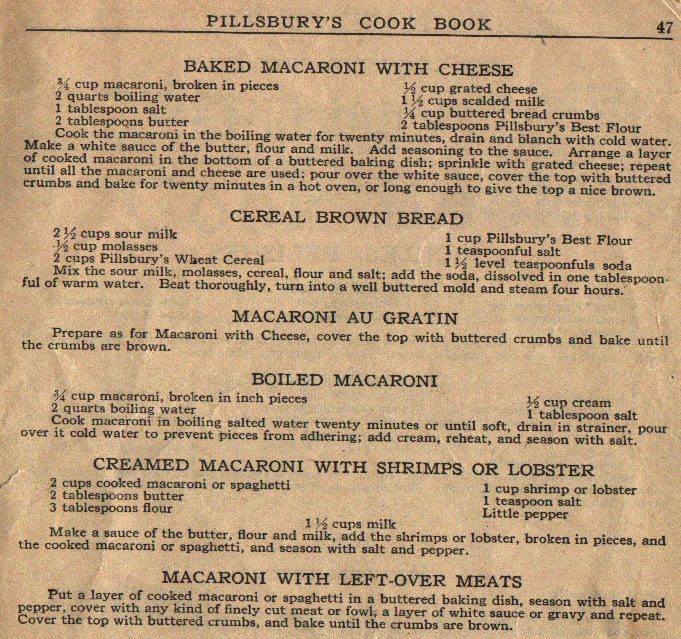 These recipes (plus one for Cereal Brown Bread) from this vintage Pillsbury cookbook.